New York: McSweeney's, 2001. 20 pp. A separately bound book from McSweeney's 7. 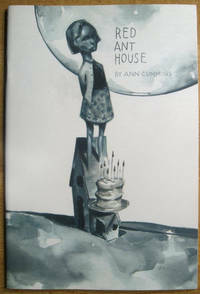 The story Red Ant House only, published prior to the eponymous collection. 'The first time I saw this girl she was standing at the bottom of the coal pile. I thought she was a little wrinkled dwarf woman with her cheeks sucked in and pointed chin. She had narrow legs and yellow eyes. They had just moved into the old Perino house on West 2nd. This was the red ant house.' 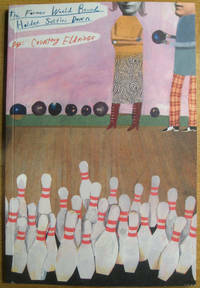 'Ann Cummins divides her time between Oakland, California and Flagstaff, Arizona, where she teaches creative writing at Northern Arizona University.'. Illustrated Wraps. Fine. 8vo - over 7¾" - 9¾" tall. New York: McSweeney's, 2001. 74 pp. A separately bound book from McSweeney's 7. 'So at first, I thought I'd call Maxine as soon as I got home and tell her about this guy who took me bowling on our blind date, even though there was really no comparison. I mean, Joel wasn't a CPA, and I wasn't stuck out in the sticks, I could always leave if I needed to.'. Illustrated Wraps. Fine. Illus. by Katherine Streeter. 8vo - over 7¾" - 9¾" tall. New York: McSweeney's, 2001. 33 pp. A separately bound book from McSweeney's 7. 'My wife the doctor, is not well. In the end she could be dead. It started suddenly, on a country weekend, a movie with friends, a pizza, and then pain.' Author of Jack; . Illustrated Wraps. Fine. Illus. by Melinda Beck. 8vo - over 7¾" - 9¾" tall. New York: McSweeney's, 2001. 100 pp. A separately bound book from McSweeney's 7. 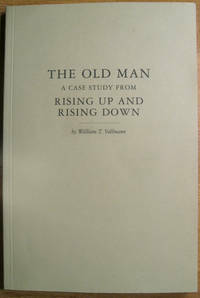 From the title page: 'Rising Up and Rising Down is a 3,500-page study of violence written by Vollann, and has yet to be published. The book is divided between chapters dealing with historical/theoretical issues, and case studies. The Old Mna, of the second type, was written in 1995 and concerns Muslim terrorists in Thailand.' 'I had a white, floating feeling, due in part to my accustomed fever, but also to the dreamy lowness of the pale buildings in relation to the pale sky. Two skinny files of traffic (cars, vans, unmuffled motorcycles and occasional trishaws) rolled magically past each other. Plump, hijab-wrapped, cottonwalled women sat in the street, one of them in trousers raggedly striped like a watermelon's skin, her thighs bulging like the flesh of some fruit; and they gazed into or through the world of their newspapers, their angels of news crumple-winged at the foot of a white wall of sunshine.. Wraps. Fine. 8vo - over 7¾" - 9¾" tall. New York: McSweeney's, 2001. 32 pp. A separately bound book from McSweeney's 7. 'Everyone thought he was a vice cop when he started coming around, just cruising the block slowly in that big old silver Pontiac. He'd be leaning out his window, his eyes looping around us like he was circling horses on a betting sheet.' 'J. T. Leroy is the author of Sarah, a novel, and The Heart Is Deceitful Above All Things, a novel of linked stories. Her writes for a number of magazines.'. Illustrated Wraps. Fine. Illus. by Sharon Leong. 8vo - over 7¾" - 9¾" tall. 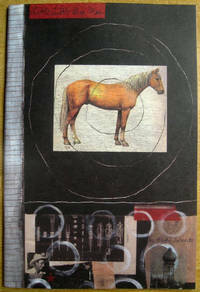 New York: McSweeney's, 2001. iv, 29 pp. A separately bound book from McSweeney's 7. 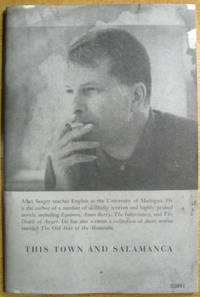 Illustrated on cover by photograph of Seager. With an introduction by John Warner and tributes to Allan Seager by Joan Fry and Steven Connelly. 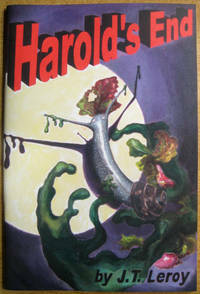 Seager's second published story, originally published in Best American Short Stories, 1935. 'John got a roll of canvas, a reel of packthread, a leather palm-guard and a needle and went down into the hold. He rigged up an electric light in a wire cage and swung it from a hook over his head. The eighteen lay there in a row. They were quite stiff and, when the ship rolled, sometimes an arm would come up and pause until the ship rolled back. But they were in the shadow and he did not watch them much because the sewing was hard work, about an hour to each one. He jabbed his finger with the needle three or four times and that made it harder. When he got one ready, he would put it over his shoulder and stagger up the companionway to the deck. / High above him beside the funnel, to escape the risk of infection, stood an Anglican parson, one of the passengers. He had an open prayer book and said the service very quickly, the leaves fluttering in the wind. Then John would pick up the corpse again and have it over the side.' . Illustrated Wraps. Fine. 8vo - over 7¾" - 9¾" tall. New York: McSweeney's, 2001. 15 pp. A separately bound book from McSweeney's 7. 'The embryo was orange and see-through. It had eyes like a shrimp, two black beads stuck to the outside of its head. Its hands were like patties, the rest of it like a legume, that's what Big thought, it looks like a legume, though he's never in his life seen a legume.' 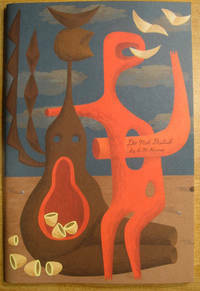 'Julavits is the author of The Mineral Palace, a novel.. Illustrated Wraps. Fine. Illus. by Elizabeth Kairys. 8vo - over 7¾" - 9¾" tall.